Riley and Myself will be appearing on Inside Xbox, Microsoft’s premiere streaming show! 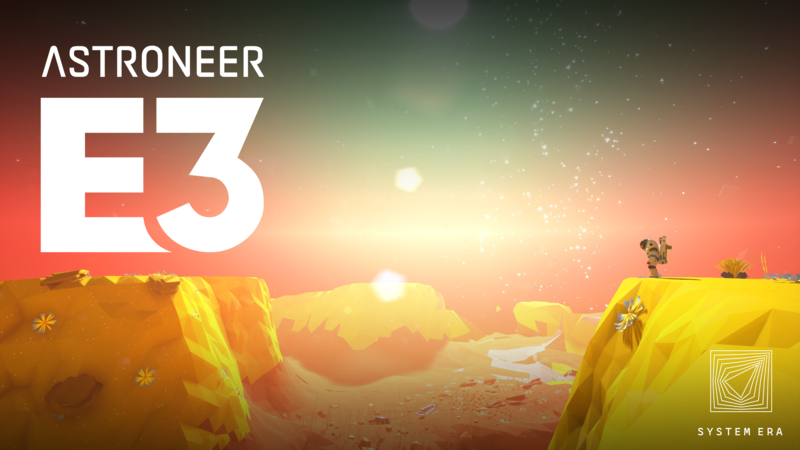 On their special E3 edition, we will be debuting a trailer with details about the future of Astroneer! We will be guests on the official Twitch E3 livestream, showing off our E3 trailer and what is going to be in the next Astroneer update! Watch it at twitch.com/twitch! Thanks for reading, can’t wait to show you what we have up our sleeves!